"If you are only moved by color relationships, you are missing the point. I am interested in expressing the big emotions - tragedy, ecstasy, doom." A prominent figure among the New York School painters, Mark Rothko moved through many artistic styles until reaching his signature 1950s motif of soft, rectangular forms floating on a stained field of color. Heavily influenced by mythology and philosophy, he was insistent that his art was filled with content, and brimming with ideas. 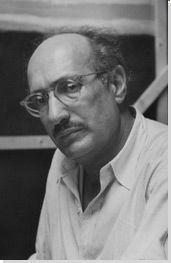 A fierce champion of social revolutionary thought, and the right to self-expression, Rothko also expounded his views in numerous essays and critical reviews. Rothko's early figurative work - including landscapes, still lifes, figure studies, and portraits - demonstrated an ability to blend Expressionism and Surrealism. His search for new forms of expression led to his Color Field paintings, which employed shimmering color to convey a sense of spirituality. “We start with color," Rothko famously stated in 1936 when he was writing a book comparing children’s art to modern paintings. He went on to employ that early sense of color with his inherent belief: “the exhilarated tragic experience is for me the only source of art,” as he created his Color Field paintings, celebrated for their spiritual and psychological presence. Interactive chart with Mark Rothko's main influences, and the people and ideas that the artist influenced in turn.